Context: 7th edition of three day ‘Kathakar: International Storytellers Festival’ was recently inaugurated at the Indira Gandhi National Centre for the Arts (IGNCA), New Delhi. The partners for this year’s festival are the IGNCA of Union Ministry of Culture in Delhi, Heritage Transport Museum in Gurugram and the NCPA in Mumbai. What is it? 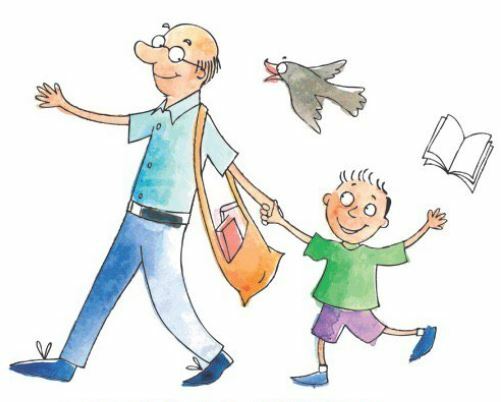 Kathakar is the only oral storytelling festival in India and is a part of Ghummakkad Narain- the Travelling Literature Festival which was started under the aegis of UNESCO in 2010. Kathakar is an attempt to not just preserve the art form but also create new audiences for the same. Kathakar is a special initiative within the bigger festival, Ghummakkad Narain, to promote the oral storytelling tradition which has existed across the world. Though performance storytelling has seen a revival in Europe, in India only few efforts have been made to contemporize the art form. Topic: Important Geophysical phenomena such as earthquakes, Tsunami, Volcanic activity, cyclone etc. 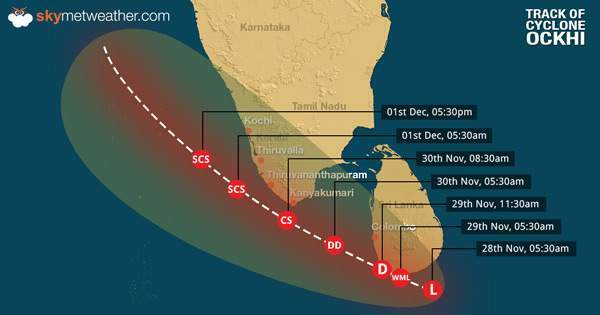 Context: The deep depression which had formed in the Bay of Bengal near Kanyakumari district in Tamil Nadu, bordering Kerala, has now intensified into a cyclonic storm named Ockhi. The name Ockhi was given by Bangladesh which in Bengali means ‘eye’. The World Meteorological Organisation (WMO) and the United Nations Economic and Social Commission for Asia and the Pacific (ESCAP) started the tropical cyclone naming system in 2000. Tropical cyclones are named to provide ease of communication between forecasters and the general public regarding forecasts, watches, and warnings. The Cyclones worldwide are named by 9 regions — North Atlantic, Eastern North Pacific, Central North Pacific, Western North Pacific, North Indian Ocean, South West Indian Ocean, Australian, Southern Pacific, South Atlantic. Cyclones in the North Indian Ocean basin are named by the Indian Meteorological Department and the first tropical cyclone was named in 2004 as Onil (given by Bangladesh). Eight north Indian Ocean countries — Bangladesh, India, the Maldives, Myanmar, Oman, Pakistan, Sri Lanka and Thailand, gave eight names each which was combined into a list of 64 names. One name from each country is picked in an order to name the cyclones. The previous storm Mora that caused severe flooding across Northeast India in May was named by Thailand. Mora is the name of one of the healing stones and also means star of the sea. The next cyclone will be named Sagar — a name given by India. Context: The Controller General of Accounts, Department of Expenditure has launched the upgraded version of Central Pension Accounting Office (CPAO) primarily to cater to the needs of central civil pensioners and other stakeholders in the Ministries/Departments and Banks. The website has been developed in-house by the NIC Wing of CPAO. The website provides a single window for both accessing pension related information and facilitating grievance Redressal of pensioners. 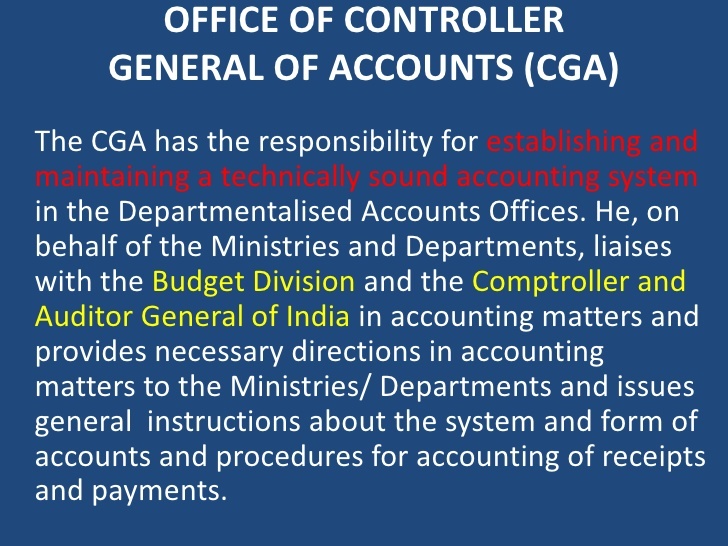 The Controller General of Accounts is the apex Accounting Authority of the Central Government and exercises the powers of the President under Article 150 of the constitution for prescribing the forms of Accounts of the Union and State Governments on the advice of the Comptroller & Auditor General of India. Functions: It is the Principal Accounting Adviser to Government of India and is responsible for establishing and maintaining a technically sound Management Accounting System. The Office of CGA prepares monthly and annual analysis of expenditure, revenues, borrowings and various fiscal indicators for the Union Government. Under Article 150 of the Constitution, the Annual Appropriation Accounts (Civil) and Union Finance Accounts are submitted to Parliament on the advice of Comptroller and Auditor General of India. Context: Union Agriculture and Farmers Welfare Minister, Shri Radha Mohan Singh recently chaired the 22nd meeting of Board of Mangement (BOM) of Small Farmers’ Agri-Business Consortium (SFAC). Various activities of SFAC were reviewed during the meeting. 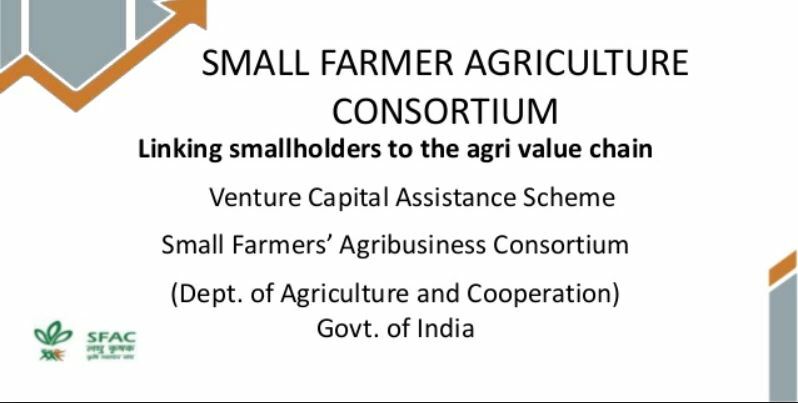 Small Farmers Agribusiness Consortium (SFAC) is an Autonomous Society promoted by Ministry of Agriculture, Cooperation and Farmers’ Welfare, Government of India. It was registered under Societies Registration Act 1860. The Society is also registered as Non-Banking Financial Institution by Reserve Bank of India. Management: The Society is governed by Board of Management which is chaired, ex-officio, by Hon’ble Union Minister for Agriculture and Farmers Welfare as the President and the Secretary, Department of Agriculture, Cooperation and Farmers Welfare, Government of India, is the ex-officio Vice-President. Functions: SFAC is implementing the central schemes of Government of India namely VCA, EGCGS for economic inclusion of small and marginal farmers in agribusiness activities. Society is pioneer in organising small and marginal farmers as Farmers Interest Groups, Farmers Producers Organisation and Farmers Producers Company for endowing them with bargaining power and economies of scale. Recently the Society has been entrusted with the task of implementation of the critically important Delhi KisanMandi and National Agriculture Market Scheme on e-platform to progressively free agricultural trade and offer price discovery to farmers. Topic: Development processes and the development industry the role of NGOs, SHGs, various groups and associations, donors, charities, institutional and other stakeholders. Context: The Ministry of Tourism, Government of India, in association with the North Eastern States is organising the “International Tourism Mart” (ITM) in Guwahati, Assam. Focus areas: The 6th International Tourism Mart, will put the spotlight on India’s “Act East Policy”, blossoming ties with ASEAN and the larger East Asia region, home to the world’s rapidly growing economies and India’s emerging tourism markets. 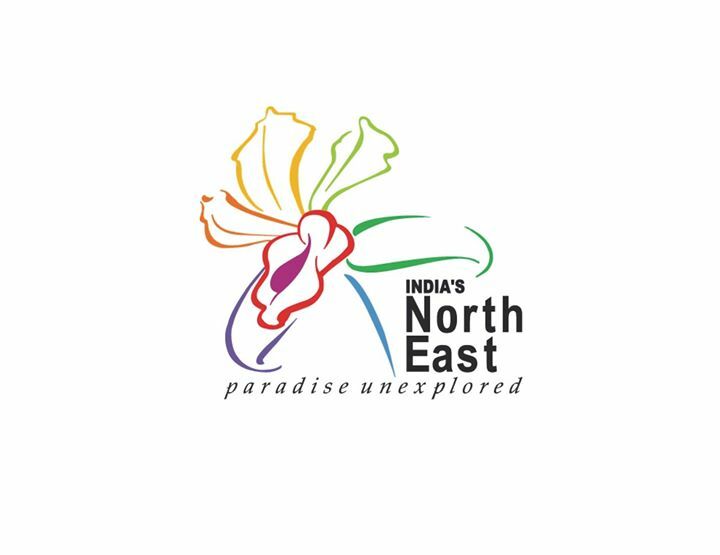 The International Tourism Marts are organised in the North Eastern States on rotation basis. The earlier editions of this mart have been held in Guwahati, Tawang, Shillong, Gangtok and Imphal. This is the 6th International Tourism Mart and an annual event organised in the North Eastern region with the objective of highlighting the tourism potential of the region in the domestic and international markets. It brings together the tourism business fraternity and entrepreneurs from the eight North Eastern States. The North East Region of India comprising the states of Arunachal Pradesh, Assam, Manipur, Meghalaya, Mizoram, Nagaland, Tripura and Sikkim, is endowed with diverse tourist attractions and products. The varied topography of the region, its flora and fauna, the ethnic communities with their rich heritage of ancient traditions and lifestyles, its festivals, arts and crafts, make it a holiday destination waiting to be explored. Context: NITI Aayog’s prescription for the State — to bring private sector players in a big way into the functioning of public hospitals in districts — has been met with strong opposition in Karnataka. Karnataka, which has been selected for the SATH (Sustainable Action for Transforming Human capital) programme in the health sector, has opposed the aayog’s proposal to privatise well-functioning district hospitals in Tier 2 and Tier 3 cities for treatment of non-communicable diseases (NCDs). The state has sternly opposed any terms and conditions for entering into an agreement with McKinsey & Company, consultants for implementation of the model. It is of the view that the proposal will have adverse implications for the public healthcare system of the State. The SATH program embodies the philosophy of co-operative federalism. NITI Aayog selected the three states through a three stage challenge-process – expression of interest, presentations by the states and assessment of commitment to health sector reforms. Finally, three states: Assam, Uttar Pradesh and Karnataka were chosen based on objective assessment criteria affecting the potential for impact and likelihood of success. A consortium of reputed technical consultants are closely working with NITI Aayog and the states to conceptualize the initiatives and provide support in the implementation process. 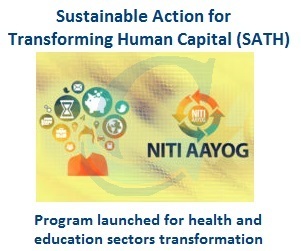 Furthering the agenda for cooperative federalism, NITI Aayog has launched SATH, a program providing ‘Sustainable Action for Transforming Human capital’ with the State Governments. The vision of the program is to initiate transformation in the education and health sectors. The program addresses the need expressed by many states for technical support from NITI. SATH aims to identify and build three future ‘role model’ states for health systems. NITI will work in close collaboration with their state machinery to design a robust roadmap of intervention, develop a program governance structure, set up monitoring and tracking mechanisms, hand-hold state institutions through the execution stage and provide support on a range of institutional measures to achieve the end objectives. The program will be implemented by NITI along with McKinsey & Company and IPE Global consortium, who were selected through a competitive bidding process. Context: An indo-spanish technical cooperation (government to government) agreement has been signed. This agreement will provide institutional mechanism for mutual cooperation in the field of urban transport and specially in implementation of RRTS project. The agreement will enable availability of technical advice on specific issues, besides providing training and collaboration in the technical areas of Track, Signalling, Rolling Stock, Safety, Multi modal integration, station design etc. RRTS, first of its kind project in India, with design speed of 180 kmph will use state of the art technologies for track structure, rolling stock and signalling system. Expertise and experience in India on these technologies for higher speeds being limited, International expertise will be tapped for efficient implementation of project, operation of system and developing capacity in the country. Significance of RRTS: RRTS will significantly reduce the travel time between important NCR towns. On completion, RRTS will emerge as the fastest, comfortable and safe mode of transport in NCR. RRTS consists of three corridors viz., Delhi-Ghaziabad-Meerut, Delhi-Gurgaon-Alwar and Delhi-Panipat sections with a total length of 380 kms. 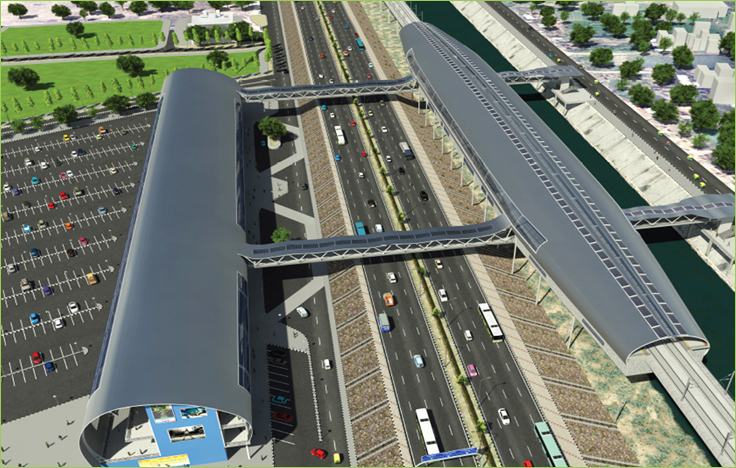 Implementation: National Capital Region Transport Corporation, a Joint Venture of Government of India and State Governments of Uttar Pradesh, Rajasthan, Haryana and Delhi, is mandated to design, construct, operate & maintain rail based Regional Rapid Transit System (RRTS). Context: NITI Aayog in collaboration with the European Union delegation to India have released the Strategy on Resource Efficiency. The strategy aims to promote resource efficiency in India. This strategy is the first policy document to emphasize resource productivity in the country. The Strategy emphasizes on Sustainable Public Procurement (SSP) as an action agenda which will be the market transformation tool to transform to a resource efficient economy. The document is developed with the recommendations from the Indian Resource Efficiency Programme (IREP), launched by the Indian Ministry of Environment, Forests and Climate Change (MoEFCC) and Indian Resource Panel (InRP) in April 2017. What is Resource Efficiency and why do we need it? Resource efficiency very simply put is making more with fewer materials. 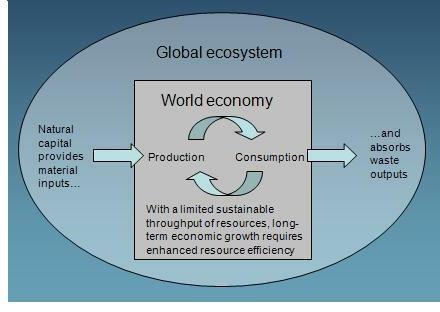 In practice, through a life-cycle approach, it leads to minimizing impact on environment & the associated societal burdens, transforming ‘waste’ into ‘resources’ fostering circular economy, and strengthening resource security. Resource Efficiency and Circular Economy are important goals and central principles for achieving sustainable development. Sustainability is a global priority and SDGs commitment and 11th Five year plan also clearly enunciate importance of Resource efficiency (RE). India’s large population, rapid urbanization and expanding industrial production have led to exploitation of available limited natural resources with concerns regarding resource depletion and future availability becoming more pronounced. Ensuring resource security requires and integrated, concerted and collaborative approach in order to fulfill the needs of a vast and growing population. Also, the environmental burdens emanating due to resource extraction, utilization and disposal, including land degradation, biodiversity loss, as well as air and water pollution remain of great concern, Enhancing resource efficiency (RE) and promoting the use of secondary raw materials (SRM) is a pertinent strategy to address these challenges and reduce dependence on primary resource. About InRP: The new Indian Resource Panel (InRP) was officially unveiled in 2016, making India one of the first emerging economies to set up a national advisory body on resource efficiency. The InRP was created with support from the International Climate Initiative as part of the project ‘Resource efficiency and secondary raw materials management as a contribution to climate change mitigation’. The InRP will issue recommendations to Indian businesses and policy-makers on improving the general conditions for resource efficiency. Context: The Regional Level Marine Oil Pollution Response Exercise titled ‘Clean Sea – 2017’, was recently conducted at sea off Port Blair. The objective of the exercise was to ascertain preparedness of the Indian Coast Guard, resource agencies and other stakeholders in responding to a major oil spill in line with the provisions of NOS-DCP (National Oil Spill Disaster Contingency Plan). Indian Coast Guard is responsible for marine environment protection in the maritime zones of India and is the coordinating authority for response to oil spills in Indian waters. The Force has drawn up a National Oil Spill Disaster Contingency Plan (NOSDCP) and has established three pollution response centres at Mumbai, Chennai and Port Blair. India promulgated National oil spill Disaster contingency plan (NOS-DCP) in the year 1996. Coast guard was designated as central coordination authority. To develop appropriate and effective systems for the detection and reporting of spillage of oil. To ensure prompt response to prevent, control, and combat oil pollution. To ensure that adequate protection is provided to the public health and welfare, and the marine environment. 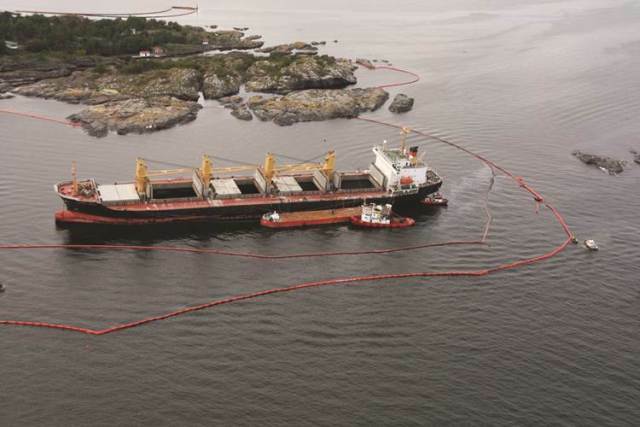 To ensure that appropriate response techniques are employed to prevent, control, and combat oil pollution, and dispose off recovered material in an environmentally accepted manner. To ensure that complete and accurate records are maintained of all expenditure to facilitate cost of recovery. Context: Bangladesh Prime Minister Sheikh Hasina recently inaugurated construction work on the much-awaited Rooppur Nuclear Power Plant in Ishwardi, located in the western part of the country. The plant is expected to add 2,400 MW of electricity to the national grid by 2024, helping the country meet its increasing demand for electricity. Implementation of the project: The mega project is being implemented by state-run Bangladesh Atomic Energy Commission with financial and technological support from Russia through its state nuclear agency, Rosatom. Next story Insights MINDMAPS: “Future of Bitcoins” and “Trophy Hunting”.